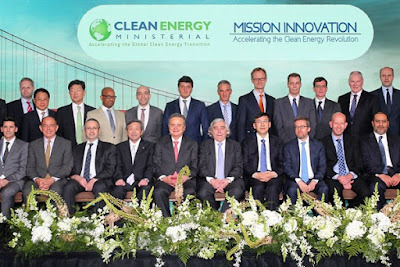 The seventh Clean Energy Ministerial meeting (CEM7) with participation of 23 countries and the European Union announced new commitments to expand clean energy deployment and cut global carbon emissions while driving economic growth. CEM members, nearly 60 companies and non-governmental organizations, and 10 subnational governments announced more than $1.5 billion in commitments to accelerate the deployment of clean energy technologies and increase energy access. Also, three new, high-impact campaigns were launched that will promote the procurement of electricity from renewable energy, commercial and industrial energy efficiency, and advanced cooling technologies.